Words are just words. A house is a house, a mouse is a mouse, there is no particular reason for it. House comes from Old English hus and is related to German Haus and Dutch huis. If we were to search for a reason why it is called house (or hus) and not casa as it is in Italian, we would probably learn a lot about the origin of both words but in the end, I suggest we would not get very far. However, sometimes language does relate to the reality it is trying to describe. A well-known phenomenon linked to this is onomatopoeia. It refers to words which sound similar to what they are describing. For example, the word clap actually resembles the sound we hear when striking our palms together. Similarly, knock knock describes the sound we hear when knocking on someone’s door. Things get strange when we look at Swedish where pigs go “nöff” or German where they “grunz”. Assuming German pigs do not actually sound different from English or American ones, this seems odd. Then again, if we stop to think what pigs sound like, is their grunting really best represented by “oink”? 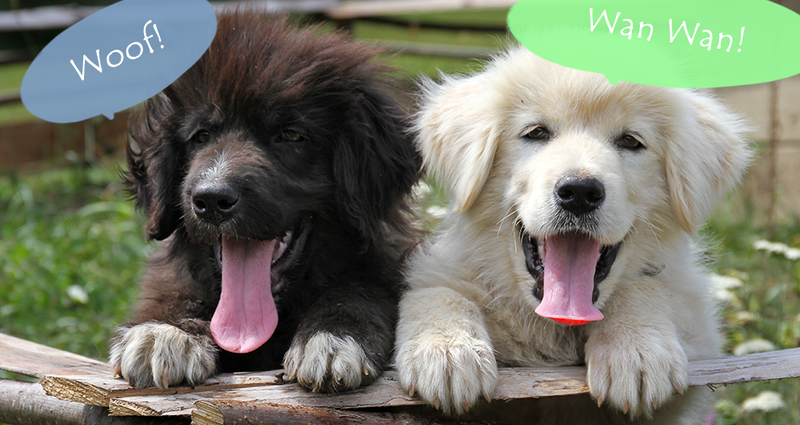 Even though we are familiar with the reduplication of animal sounds, wan wan being similar to woof woof (rather than just woof) in that way, these animal noises do not necessarily appear familiar. What about different kinds of animals then, like elephants? Here, German elephants go “törö”, Italian ones go “baaa” and Japanese elephants go “paoh-paoh”. In English, we are not so sure. Do they “trumpet” or is there an actual sound describing this? 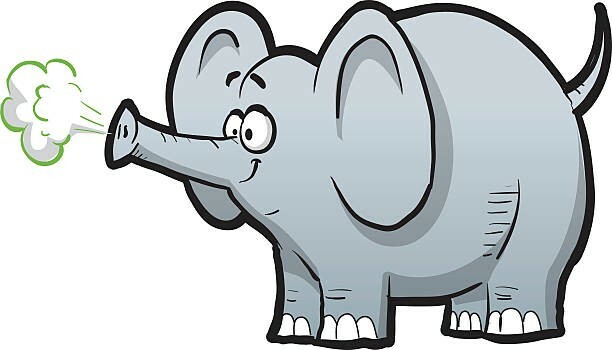 The lack of a well-known elephant sound in English shows that onomatopoeia may be present for categories in one language that it does not fill in another. Japanese, for example, uses onomatopoeia not only for animal noises but also for a lot of different aspects of language like expressing feelings. “Pekopeko”, for instance, refers to hunger and “nikoniko” to smiling. Onomatopoeia is not the only interesting kind of sound-meaning pairing. Another example for this kind of phenomenon is the existence of so called phonesthemes. Have you ever wondered why Voldemort, Mordor and Moriarty are just naturally evil names that make you shiver just by reading them? Looking at these names, we can see they all share a sequence of three letters: Mor. It does not take much effort to find more examples for the dark and twisty associations connected to mor: Morbius (name of the enemy of both Doctor Who and Spider Man), Morgana (several witch characters including the sister of Ursula in Disney’s Ariel), Morlun (another Marvel supervillain), Mortimer Mouse (Mickey’s rival). Countless examples could be added to that list and yet, mor cannot be said to mean “evil” the way “meow” refers to the sound of a cat. Considering words like Morgan, morphine or mornings, it becomes clear that mor is not always accompanied by an “evil meaning” (although some might argue mornings are indeed evil). Mor cannot be attached to words to add meaning to them, the way adding un- to a word, as seen in (1) below, negates the meaning of a word. Although it would certainly be useful to be able to refer to one’s superior as ‘morboss’ to indicate they treat you unfairly, this simply isn’t permitted in the English language (yet). Overall, the English language shows a lot of potential for creativity and is capable of carrying all kinds of meanings. Words, after all, are rarely just words. 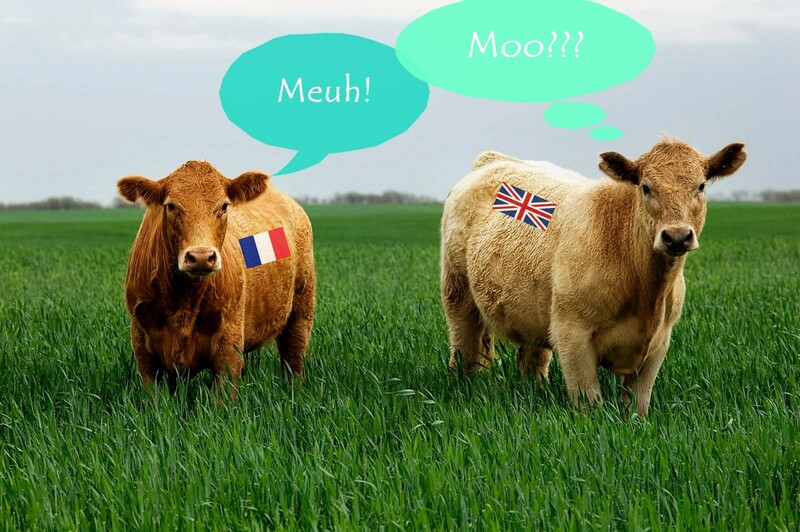 Thus, while a French and an English cow would probably have no issue sharing a meadow, same cannot necessarily be said about a Frenchman and an Englishman. Surely, culture comes into play here but as cultures worldwide differ so do languages and what they can express. In the end, it only remains for us to be grateful that there is no such thing as ‘English elephants’ or, without a word to describe their ‘trumpeting’, they might find themselves mute. PS: Before you leave, here are the solutions for those Italian animal noises: Donkey (i-oo, i-oo), sheep (beeee), birds (cip cip).